1. Preheat the oven to 325F/180c and place 10 paper muffin cups into a muffin pan. 2. Cream the butter and Sola sweetener in the bowl of a stand mixer fitted with the whisk attachment, or in a large bowl with an electric hand mixer. When the mixture is light and fluffy, beat the eggs in and mix well. Add the remaining ingredients and whisk to combine. 3. 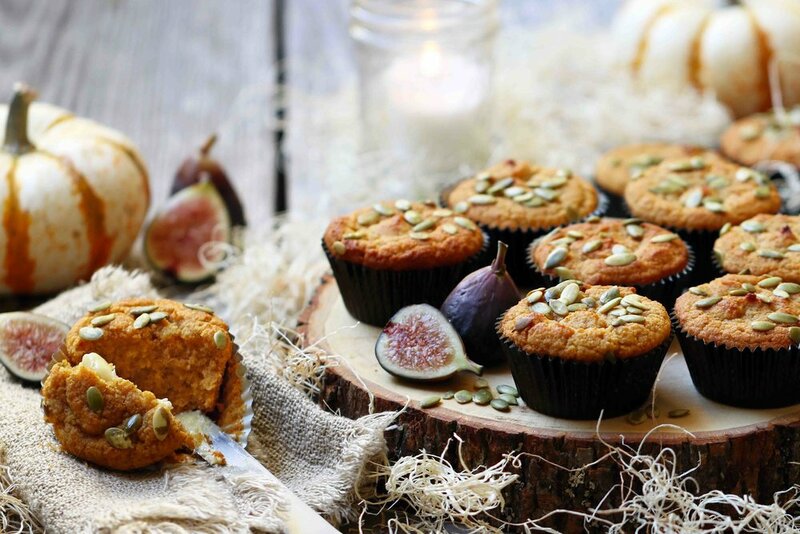 Transfer the batter into the muffin cups, sprinkle the pumpkin seeds on top, and bake for approximately 30 to 35 minutes, until the muffins are risen, lightly golden and an inserted skewer comes out clean. 4. Remove the cakes from the oven and allow to cool slightly before enjoying.